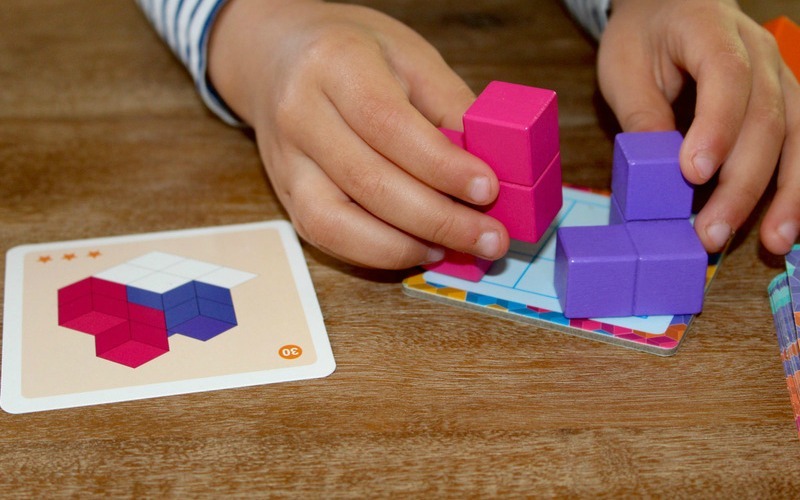 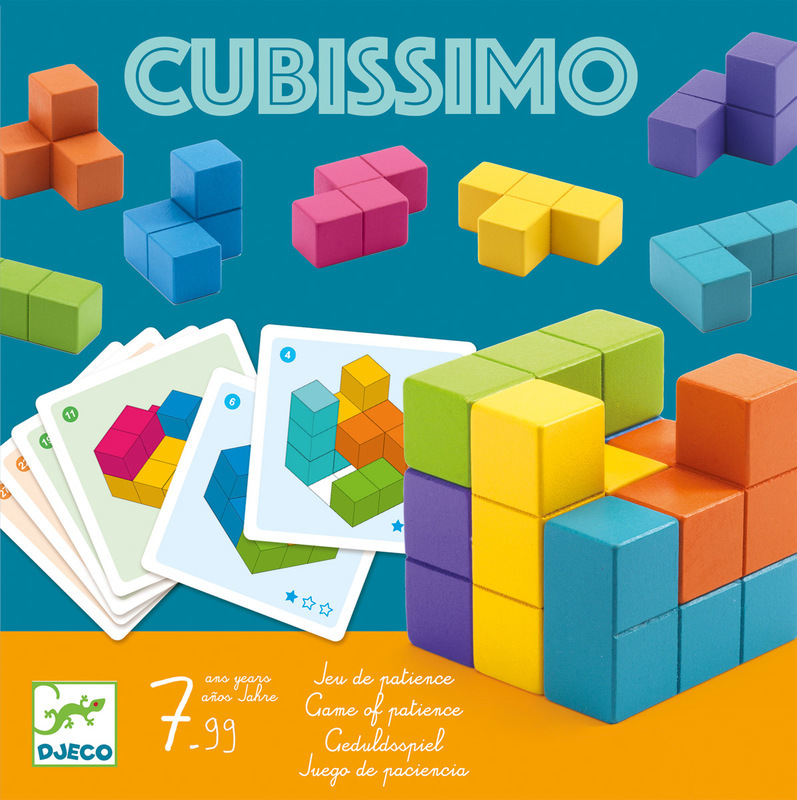 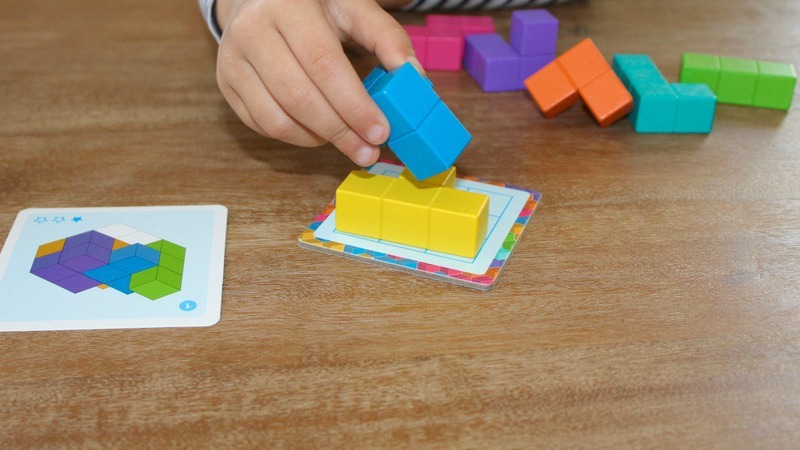 Cubissimo is a game of skill and patience that will get your brain ticking! 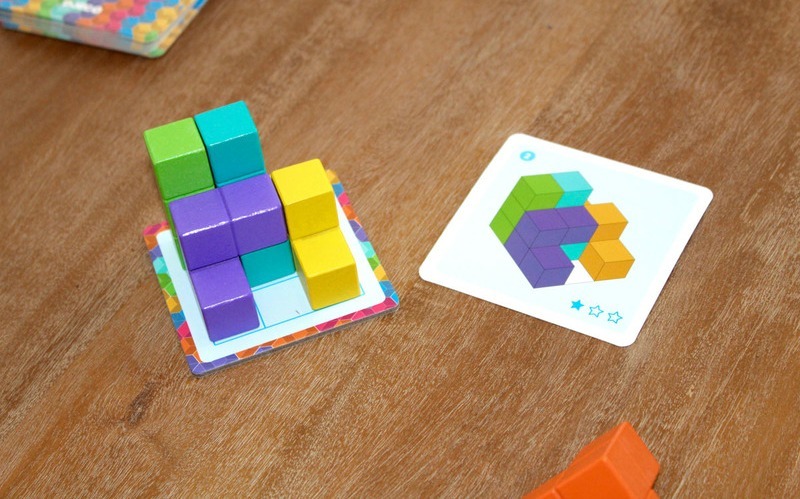 Pick a Challenge Card and reconstruct the cube from the starting position illustrated. 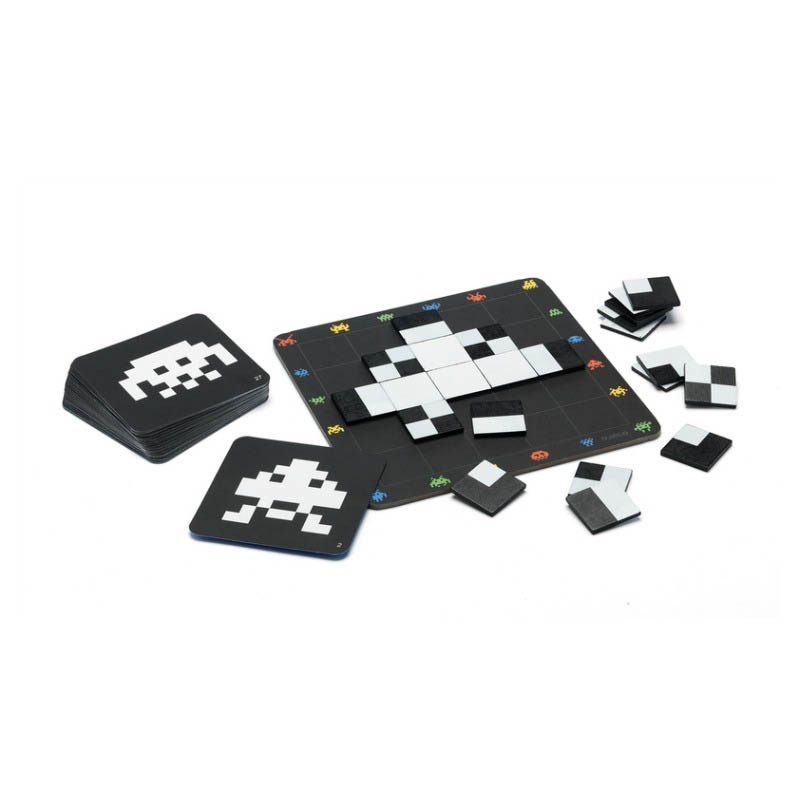 There are 30 challenges and 3 different levels of difficulty to add to the fun! 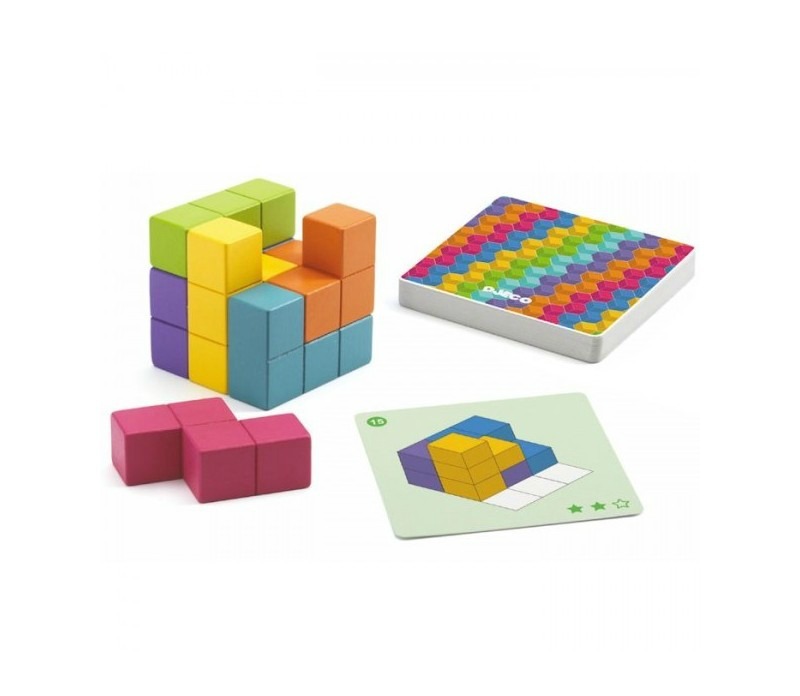 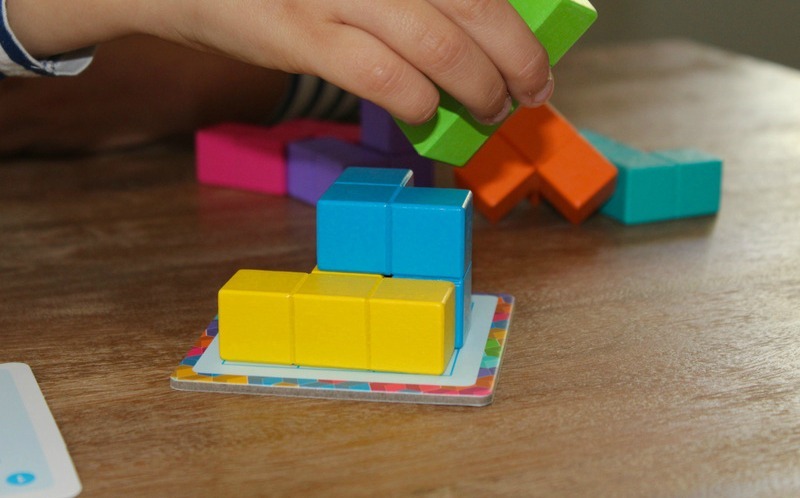 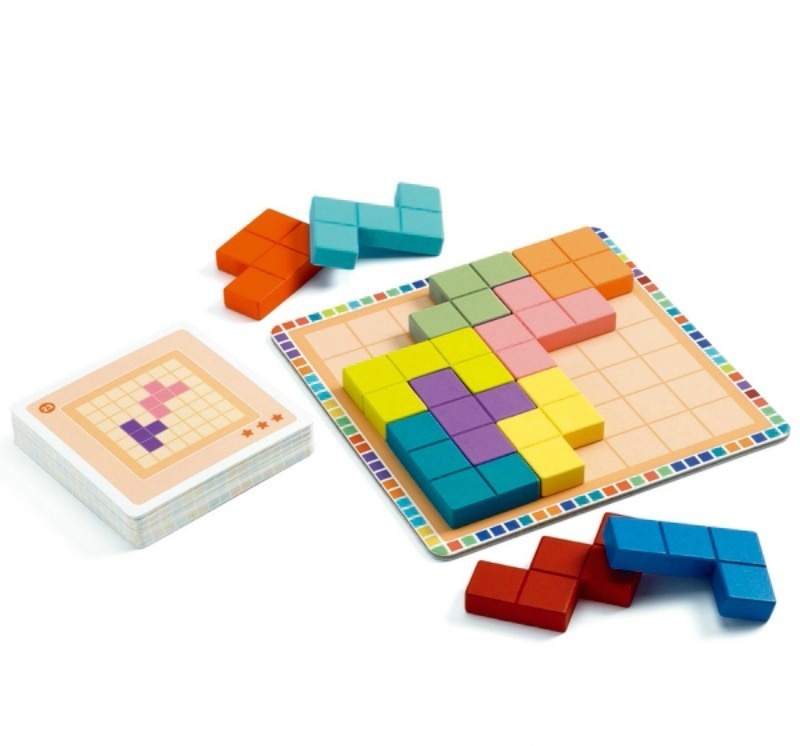 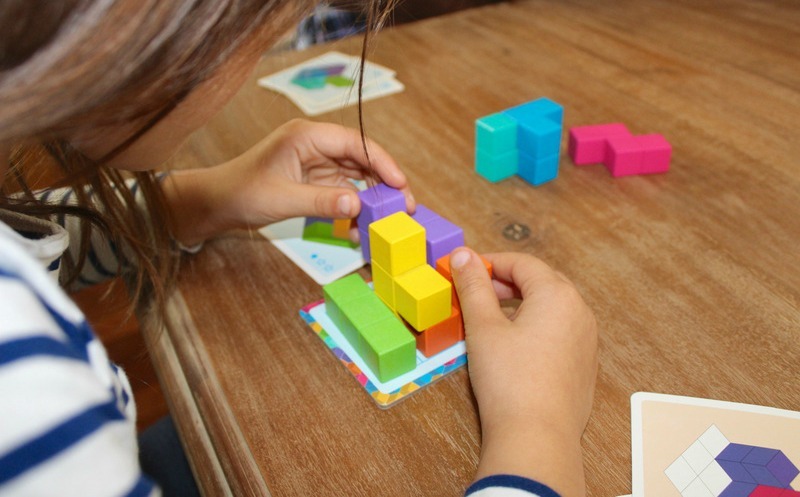 Cubissimo Cube is made up from 7 assorted, wooden shapes of various colours. 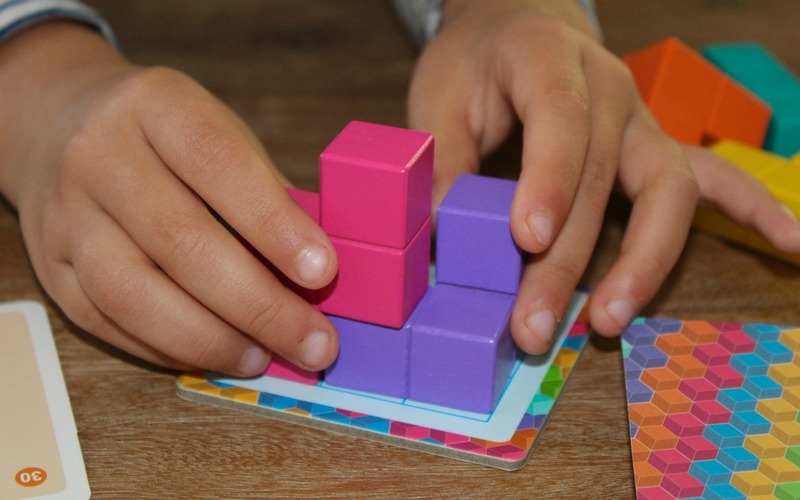 This is a lot of fun and something my 8 year old and I can do together. 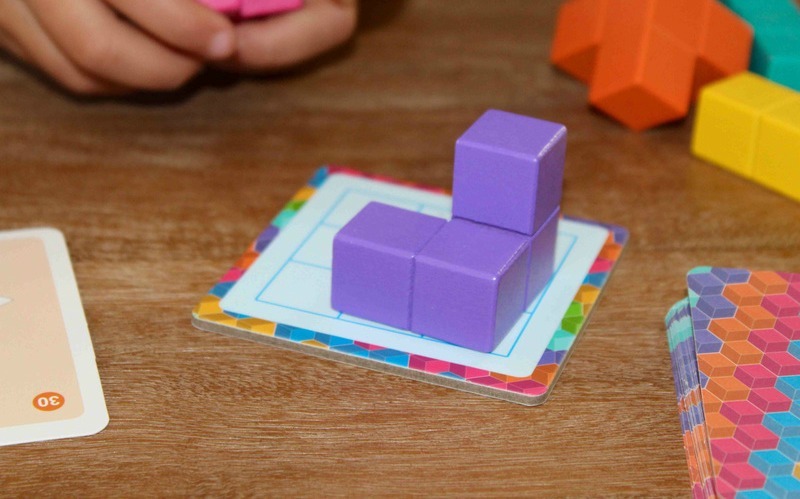 An awesome extension/fast finishers activity during geometry!